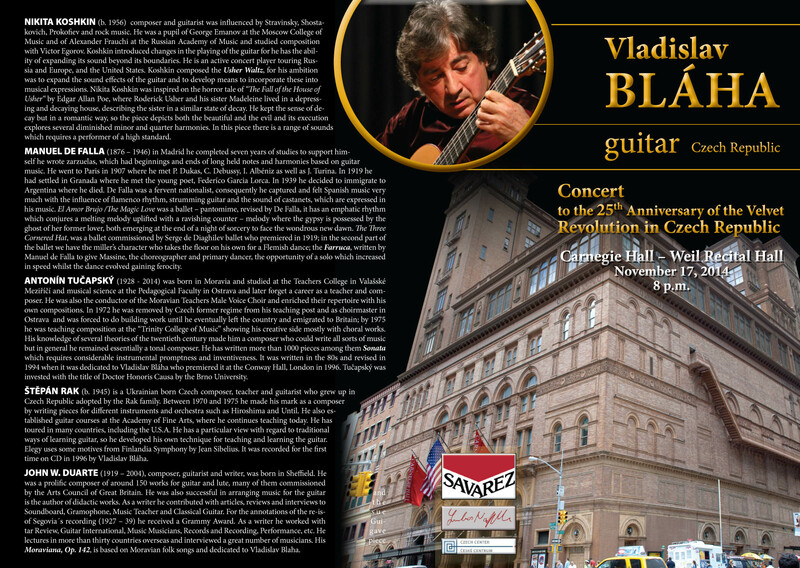 New York Carnegie Hall Debut For Vladislav Blaha. The New York classical guitar community was treated to a rare concert appearance by the classical guitar virtuoso from the Czech Republic. 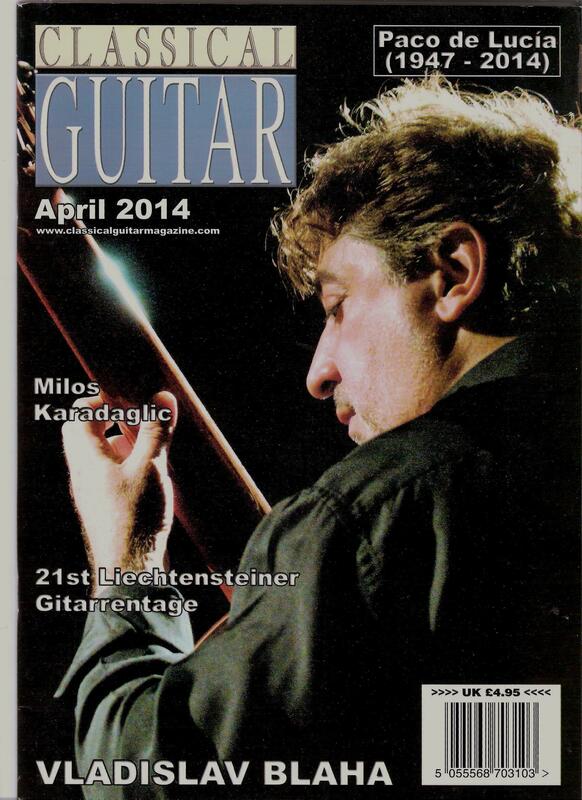 Mr. Blaha, brilliantly performed each composition flawlessly,… The sonority, tone and projection of the guitar was utilized to its fullest potential in the hands of Vladislav Blaha; and in turn, brought out the most subtle dynamics of this master's touch. Mr. Blaha, holds a unique position in the international classical guitar community,., I sincerely hope that New York City will host a return engagement on any future US tours undertaken by Mr. Blaha. Bill Turner, responsabile della “The National Academy of Recording Arts & Sciences” di New York (NARAS) chapter, March 2015, dotGuitar Magazine.